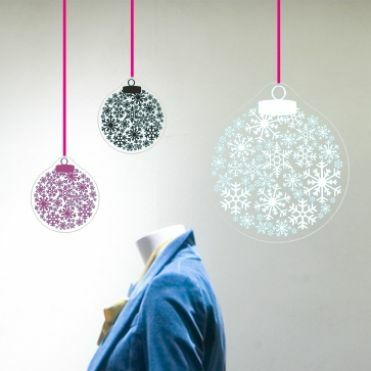 Wide range of Bauble shop window decals and stickers, ideal for any retail outlet in the run up to Christmas, or to celebrate the winter season. Our stickers can be ordered as a packs of small or large stickers, as corners or borders, and when applicable in a colour of yourt choice. 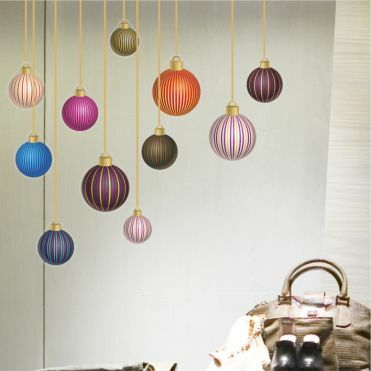 You can also order some ribbon stickers to give the impression that the baubles are hanging. Can be applied to glass or any other smooth surfaces. Wide range of options including corners, borders and packs of stickers. 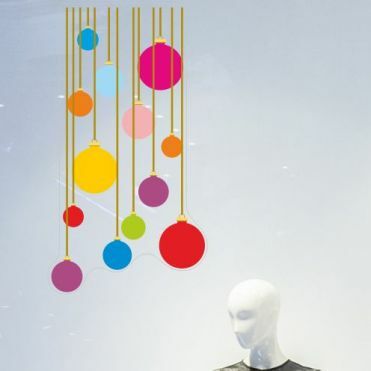 Our christmas stickers are designed for shop windows and retail displays and can be ordered in a choice of colours, sizes and materials. 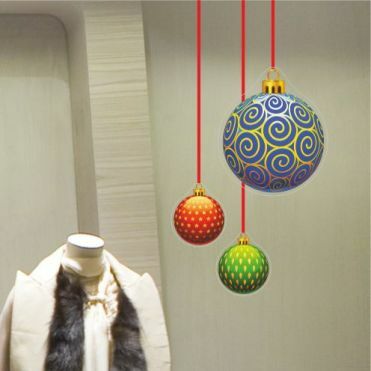 Self cling film is ideal for temporary displays on glass, whilst self-adhesive film is ideal for more permanent displays and can be applied to glass or any other smooth, flat surface including plastic, metal and wood.